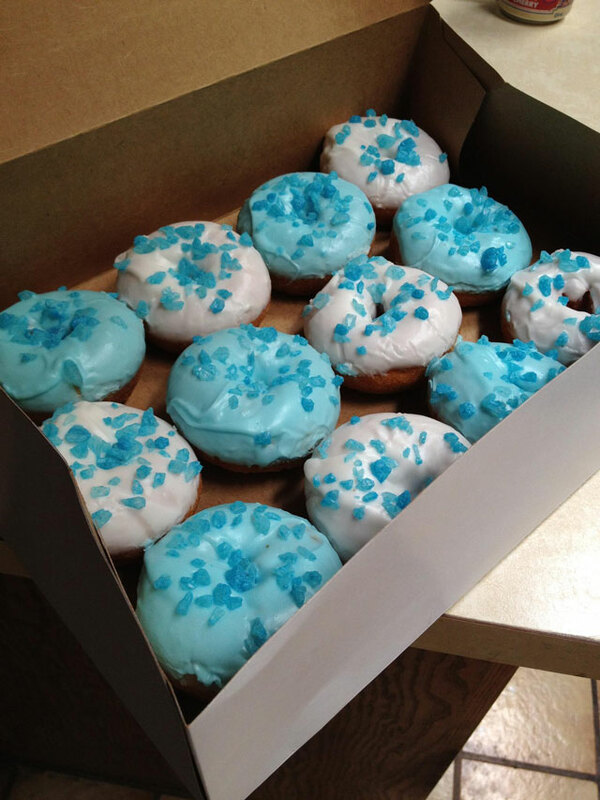 Albuquerque, New Mexico’s Rebel Donut created “Breaking Bad Blue Sky” donuts as an homage to their city’s pop culture. Each one is humorously topped with blue meth (sugar) crystals. 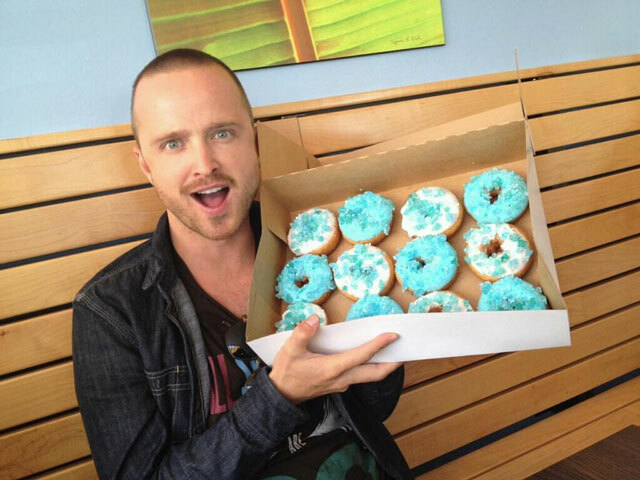 Recently, Rebel Donut made a batch for the Breaking Bad folks and Aaron Paul (“Jesse Pinkman”) was photographed holding a box.